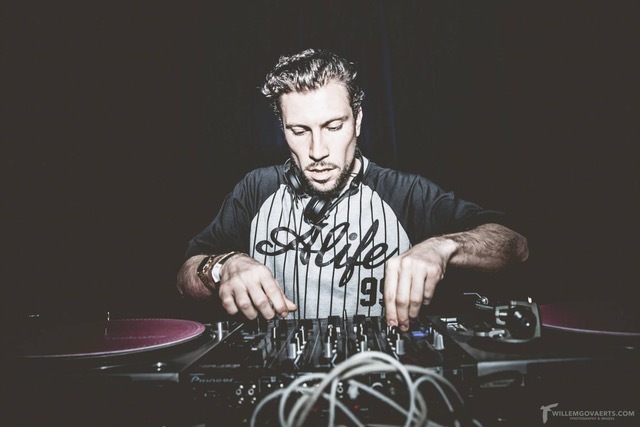 Alexander Nut has made a name for himself as one of the UK’s most diverse and influential Dj’s. Having honed his skills at London’s legendary Plastic People nightclub, and though 8 years of broadcasting on the then pirate Rinse FM, the highly respected DJ's unique vision has seen him play to some of the finest dance floors around the globe. An avid record collector, uninhibited by tempo or time zone, his expansive taste and knowledge draws heavy on influences from House, Soul, Hip Hop, Jazz, Afrobeat, Reggae and Funk. Alex is also the man behind Eglo Records, the label he co-founded with Floating Points in 2008, after discovering and managing the then emerging artist. Eglo is home to some of the most exciting, forward thinking music coming out of the UK. Responsible for seminal releases from Henry Wu, Fatima, Funkineven, Byron The Aquarius, Steve Spacek, Anderson Paak and many more. His role as a freelance A&R has seen him curate projects for the likes of Bonobo, Beatspacek and Mr Scruff amongst others. Alex is also a veteran radio show host, serving the airwaves for well over a decade. As one of Rinse FM’s standout Dj’s since it’s early pirate days, he ended his regular Saturday daytime slot after 8 straight years, embarking on a new musical chapter over at NTS in 2015, cementing his position as one of the most important selectors and tastemakers on British radio. In the tradition of his Dj forefathers, Alexander Nut plays the game in the name of Peace, Love, Unity and having Fun.